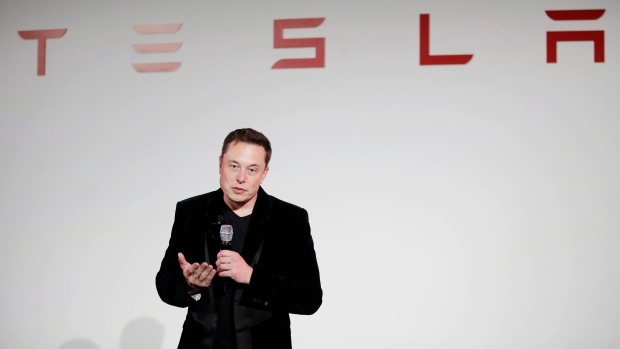 The drama gripping Tesla Inc. (TSLA.O) intensified further in the aftermath of an interview in which Chief Executive Officer Elon Musk discussed his use of the sleep-aid Ambien and the personal toll of leading the company. Shares of the electric-car marker tumbled on Friday. At the same time, it’s worth noting that a key indicator of Tesla’s all-important vehicle production capacity is ticking higher all the time. Tesla seems to finally be getting its biggest technical challenge under control: Model 3 production. The latest snapshot of Bloomberg's Model 3 Tracker shows Tesla consistently cranking out more than 5,000 cars a week, a threshold that Musk has long said will make the mass-market sedan profitable. In his interview with the New York Times, Musk admitted to straining under the weight of his job and said no one saw or reviewed his tweet about the plan to take Tesla private. He said he fired off his Aug. 7 message on Twitter while driving himself to the airport—without first consulting the board. Observers of Tesla see the potential for vehicle production to increase further. Evercore ISI analysts George Galliers and Arndt Ellinghorst wrote Thursday in a note that output of the Model 3 could reach an 8,000-per-week rate.